Joseph Topolski represents issuers, underwriters, placement agents and investors in asset-backed securitizations and other structured finance transactions. He has extensive experience with retail auto loans, retail auto leases and dealer floorplan finance receivables, as well as with a wide variety of other asset classes, including home equity loans, franchise loans, commercial mortgage loans, home equity lines of credit and equipment leases. In particular, Joe acts as counsel to Ford Motor Credit Company, which routinely issues more than $10 billion of asset-backed securities annually on all of its US securitization and structured finance transactions. 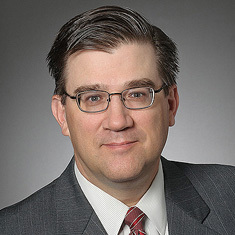 Joe has worked on all major types of structured finance transactions, including public and private domestic and cross-border offerings, term note and variable funding note offerings, existing asset and future flow transactions, on- and off-balance sheet secured warehouse lending facilities, single-seller and multi-seller commercial paper conduits and cash-flow and market-value collateralized debt obligation (CDO), collateralized bond obligation (CBO) and collateralized loan obligation (CLO) transactions. He also frequently counsels clients in derivatives transactions utilizing International Swaps and Derivatives Association (ISDA) documentation, including interest rate swaps, caps and floors, total return swaps, currency swaps and credit default swaps. Joe is heavily involved in regulatory and advocacy matters affecting the structured finance and securitization markets, including those arising under the Dodd-Frank Act, Regulation AB II and Basel III, and is an active participant in industry trade groups such as the Structured Finance Industry Group. He has drafted several regulatory comment letters on behalf of a group of 19 captive and independent vehicle finance companies relating to recent regulatory initiatives. Joe's clients call him a "superb lawyer – creative, smart, hard-working," according to Chambers USA. Shown below is a selection of Joseph’s engagements.